The town of San Gimignano is popular for many good reasons: the beauty of its unique medieval towers, the stunning vista from many panorama points and world championship winning gelato at Dondoli. Yet beyond the old beauty of this historically rich city is an underground arts movement with a modern tilt. 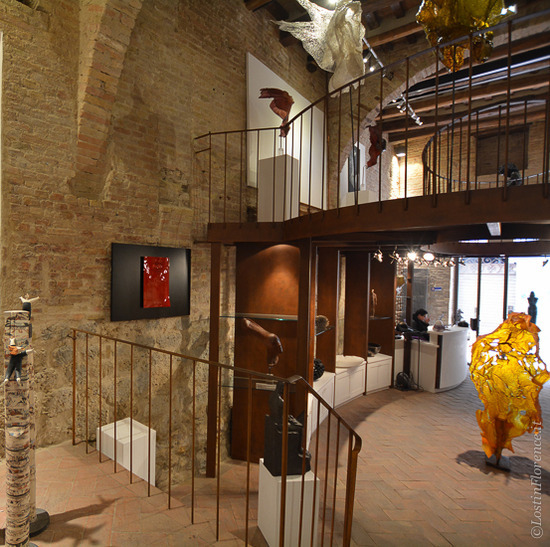 Look beyond the bustling shops on via San Giovanni to find a number of contemporary gallery spaces worth exploring including iSculpture. 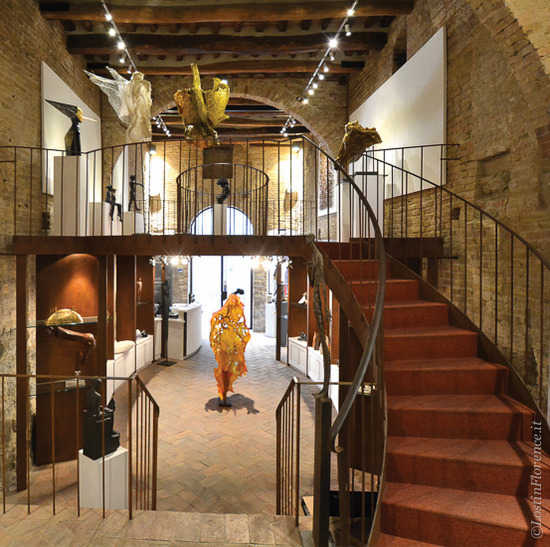 Established in 2012 by Francesca Cundari and Patrick Pii, iSculpture is the first Contemporary Art Gallery in Italy to feature only Italian Sculptors. 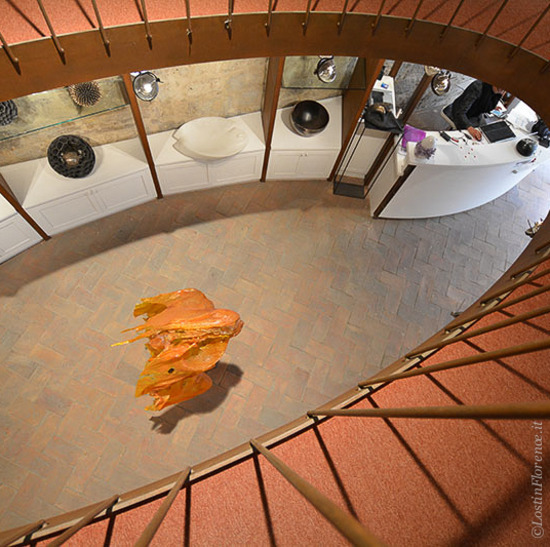 With a passion to promote young talent, Cundari and Pii set about creating a bespoke gallery to showcase, and sell, new works in their exhibition space housed in the basement of an ancient 14th century medieval tower. 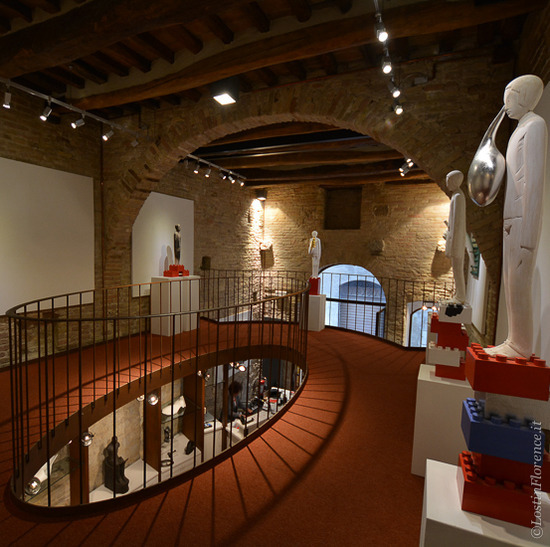 iSculpture’s aim is to combine tradition and modernity. 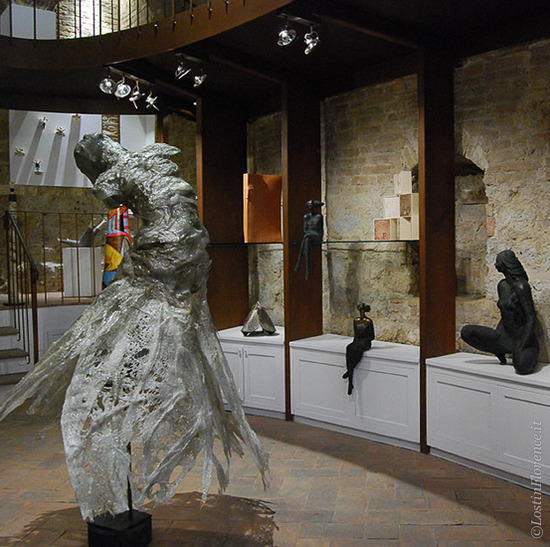 The contrast created between the old stonewalls of the gallery with the modern lines of the sculpture pieces makes this gallery unique, featuring 20 artists from around Italy who use an array of materials including ceramics, bronze, alabaster, wood, marble and iron. 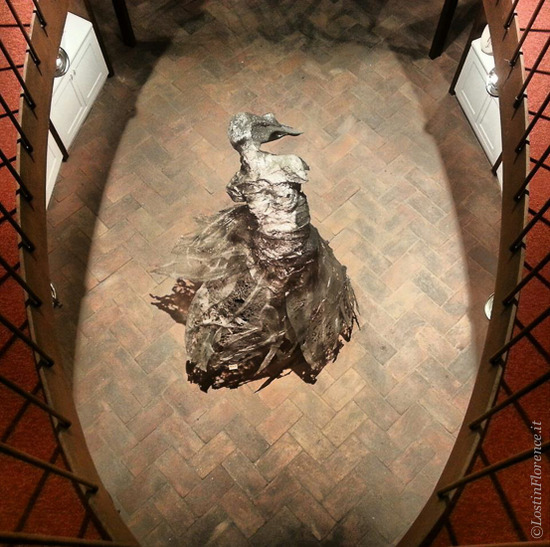 Each artist is chosen for the material they favour, the use of traditional techniques yet all have a contemporary approach to the final product. The two-level loft structure of the gallery creates an open mezzanine level to ascend, offering an open and light space ideal to house the works on show. 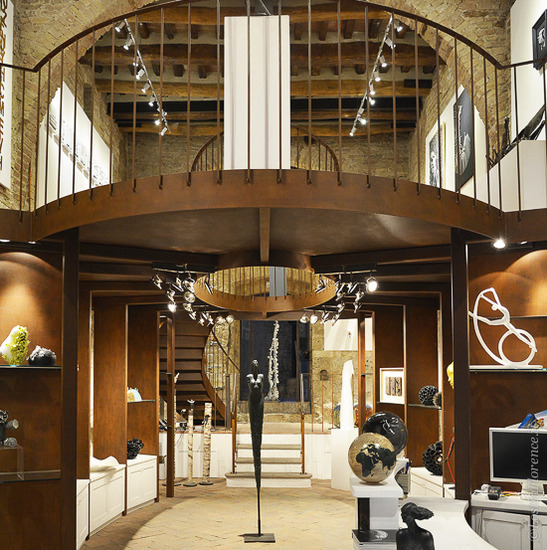 It is a popular gallery for interior decorators and art collectors who are looking for a unique item for their client or home. From Christian Verginer’s sculpture carvings of human figures using lime tree wood and techniques studied at the Academy of Fine Arts in Carrara to Francesco Ardini ceramic pieces inspired by domestic objects now redundant by modern technology including a typewriter and oversized pencils. Davide Dall’Osso’s polycarbonate creations of body casts or Zino whose mix media of photography and lego pieces are unique and bold, both in colour and style. 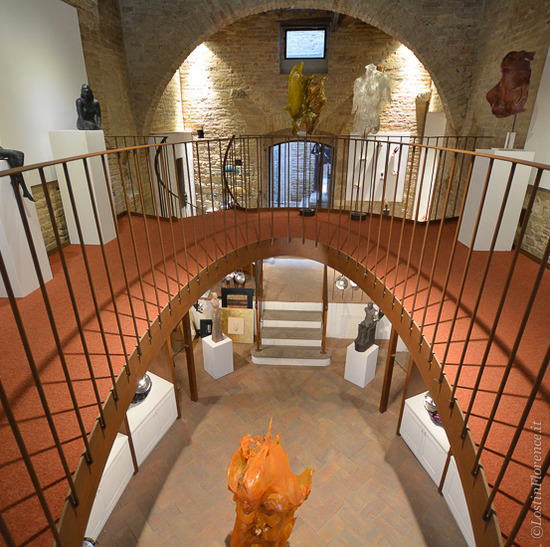 Cundari and Pii are working on a cultural and educational mission creating multimedia tools for the study of the history of sculpture and its techniques plus have opened a second exhibition space in Casole d'Elsa between the provinces of Siena and Pisa. 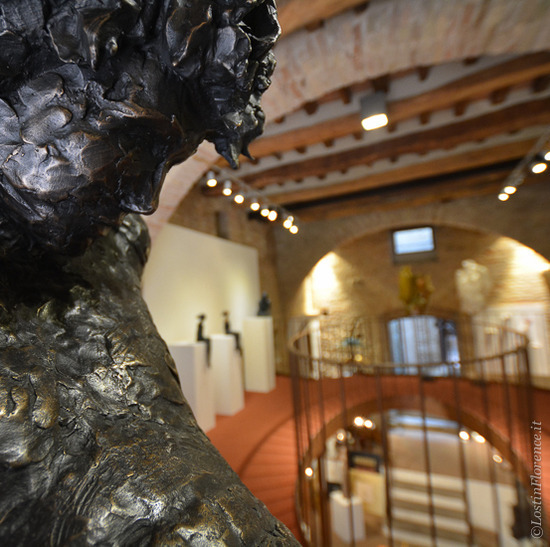 Italy is famous for its love of beauty in the arts with iSculpture an exciting addition in Tuscany for those who admire both skill and beauty with a contemporary twist. 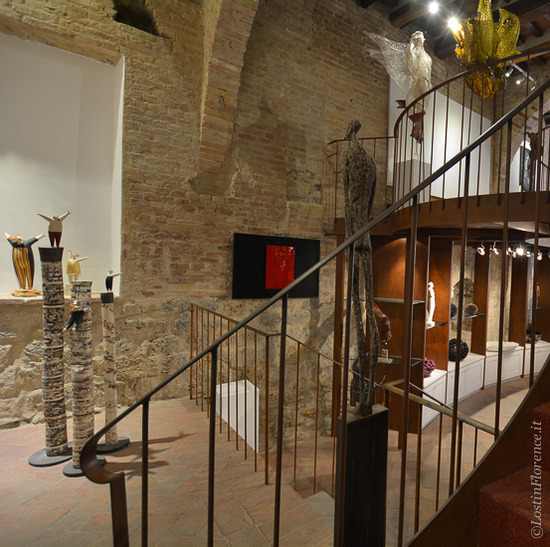 Be it just to see what’s on show in the gallery or for a unique piece for your home, within the old walls of San Gimignano is a modern gallery space to seek and experience. San Gimignano features as an out of town itinerary in Lost in Florence - the book - with over 150 unique and independent venues to discover in the Renaissance capital.